I regularly browse through frugal blogs. Some I like, some make me shake my head in despair, and some simply seem to be a re-hash of posts that the Blog owner re-writes over and over! The best of them are a fathoms-deep source of inspiration though, from recipes on Jack Monroe to Simple Living on Down To Earth and many, many others in between. Mine never has been a "Frugal Blog" as such - it's a blog where I talk about frugality from time to time, yes, but it also has photographs, fun and just regular life on it. My "Frugal Friday" posts came about because it felt right to categorise those sorts of posts under one heading - for ease of reference as much as anything, and, yes, because I didn't want it to turn into a "Frugal Blog" only - I've never contained it like that, never applied a heading of that sort, and don't want to restrict it in that way. It evolves where it evolves, and always has. Equally I never wanted the Frugal Friday series to go on so long that I was just doing what I dislike seeing on other blogs and just re-hashing the same old recipes, ideas and thoughts over and over...so as and when the posts didn't start flowing as well, it slowed down to the intermittent "thing" it is now. BUT in answer to the questions...yes we are still attempting to live as frugally as possible. Yes we are still paying down the mortgage - the biggest lump sum we were allowed to was paid at the start of this year and the regular overpayment sums are being stashed away in an ISA for the future. If all continues to go to plan then we have currently set a Mortgage-Free target date of 24th July 2017. Yes we're still using as many electrical items as we can overnight on cheap rate, avoiding food waste, only buying what we need, shopping around for things, earning cashback on purchases where we can and generally squirreling away whatever we can. Over time doing the frugal thing we've learned a lot - that living life is as important as saving pennies, for a start. We budget for fun as well as food, living and enjoying ourselves is just as important as getting rid of that pesky mortgage debt! Sometimes it's necessary to balance expenditure against quality of life - a takeaway at the end of a busy week when we've both been working long hours and time together is simply more important than cooking from scratch to save the pennies for example. We buy branded coffee and Cornflakes, not value, as MrEH simply prefers the taste, and I point-blank refuse to buy value loo rolls regardless of how cheap they are! Another place where I've just run up against a personal brick wall is home made laundry liquid. In my experience it's a lot of faff to make, and then doesn't give as good a wash as the Bold powder I prefer. Now I KNOW there are a whole heap of you now queuing up to tell me I'm wrong, that it works brilliantly for you, that you make it once every 3 months and it takes ten minutes etc, but that just wasn't my experience I'm afraid, and after a lot of beating myself up and feeling as though I must persevere, I finally realised that no, I mustn't. Stained clothes with a faintly musty odour really don't do it for me - and that, I realised after a relatively short time, was what I was ending up with. Not nice. So I threw the rest away and felt a huge sense of relief. Sure I want to save money where we can - I'm happy to peel my own potatoes, crush my own garlic, use vinegar as fabric softener and colour my own hair - but I don't want it to make me miserable while I'm doing it, thanks! So I will continue to look for special offers on my big boxes of Bold and my clothes will continue to come out of the wash smelling lovely, not vaguely stagnant! Where have you found your frugal limits are? Are there things you've tried and simply not got on with? Ahhh...meal planning. Some people love it as an aid to making shopping easier and controlling food waste, others see it as a return to the "it's cold meat & potatoes - it must be Monday" of their childhood. I kind of tread a middle path really - tending to use a rough 3 - 5-week plan, so avoiding the risk of slipping into a rut of eating certain foods on certain days. Over last summer as I've mentioned previously things slipped a bit on the planning front though, and I've been struggling to get back into it ever since really. One thing I've realised the value of is meals that will "roll over" - so on a Sunday I might batch cook a couple of meals worth of potato bake...dead easy this one - just thinly slice (I use a mandolin as this gets the thinnest slices) several potatoes (or you can use sweet potatoes, or even butternut squash), and a large onion. Grate some well flavoured cheddar cheese. Build the dish up in layers - a lasagne dish is ideal for this. Start with a sprinkling of onion, layer potato on top, then a sprinkling of cheese. Repeat until the ingredients are used up, topping off with a generous layer of cheese, a touch of salt and a grinding of either pepper or nutmeg (nutmeg works AMAZINGLY with sweet potatoes!). Mix in a jug enough double cream and full-fat milk to pour over the top - it needs to *just* fall below the top layer of potato - that way you get a crispy top. Bake in the oven until it's done. Adding an egg to the milk/cream mix gives a more "custardy" centre. Ideal for popping in the oven when something else is cooking, this. Another easy one - sausage casserole cooked in the slow cooker while we're out at work - a casserole is a great way of stretching sausages - I use 8 chipolatas or 6 regular sausages but chop each one into two or three before adding them to the pot. That quantity of sausages allows for a portion being kept back for a second meal for just one of us. This business of meals that "roll over" - so the leftovers from one day either make a meal for the second or turn into something else for another day - works brilliantly - particularly for those of us who are out of the house for long days, and want nothing more than something quick when we get in. Bolognese one day for example....add a tin of drained kidney beans and some chilli flakes and serve with rice the next day for a cheaty Chilli-con-Carne. The best thing about those sorts of meals too is that everyone knows such dishes taste better the second day - so an all-round win! Bolognese can also metamorphose into Cannelloni, Lasagne, and even a cottage pie with an Italian twist...a super-adaptable family favourite, and the basic sauce is also another dish which cooks wonderfully overnight in the slow-cooker, saving you both time and money. You don't have to start with a whole meal either. Think about how you can save time on prep of ingredients too - if you're slow-cooking sauteed onions for example, you could cook double and either set the rest aside for use the next day, or even freeze them in portions for adding straight into a sauce in the future. A pack of bacon opened on a Sunday for a bacon & eggs breakfast, can then do a Monday night dinner of pasta with Mushrooms and Bacon, and the final couple of rashers can then be stretched by chopping into pieces and used to top a pizza later in the week. That's the real beauty of "rolling over" too - getting use out of every last scrap of a food purchase by planning ahead. That not only saves the planet (well, sort of!) but saves your precious pennies, too - something we can all do with! Come on then - give me a hand here folks, with the airshow season underway I'm desperate for any time-savers I can muster - so what are your favourite "roll-over" meals? Truly silly Selfie with the Chinook boys! Well that's the first two shows of the season done! Not the greatest of weather for either - we had little bursts of sun both days but mostly the sky was a dull fat grey/white, not conducive to many nice pictures, sadly. Still we had fun - on Saturday at Biggin we were the "default" gang - me, Claire & Tom, plus Anthony. 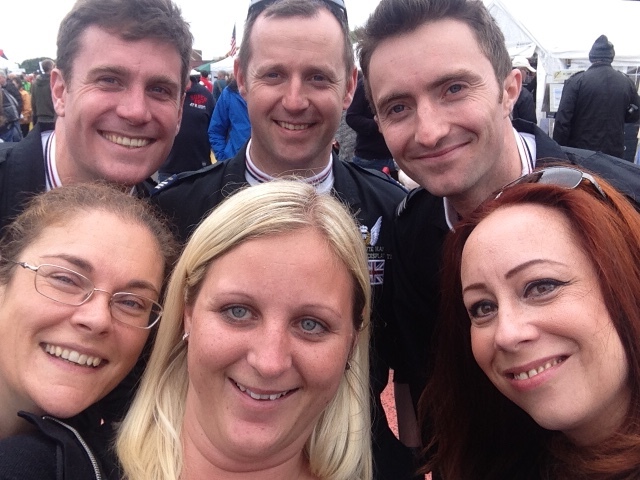 As ever we caught up with various people through the day too, including the Red Arrows "Red 10" - Lingy - and to finally meet his lovely girlfriend properly was an unexpected pleasure too! Sunday was a long haul on the train for me up to RAF Cosford - I'd originally decided not to do this one as the car-park was chaos last year and I had visions of not getting home until the early hours (it's a good 4 hours drive from me even without the added airshow traffic) but then realised that I could easily do it on the train, and in fact the train fare was cheaper than the diesel would have been! All went like clockwork and I arrived bang on time - I'd happily do that route in future years! A bigger group of us for this one - as well as Saturday's gang we were joined by the lovely Kate and Aunty Di (actually someone else's Aunty - but she's adopted us!) - absolutely lovely to see them again! Lots more on the fringes too - including Colin, Layna and little Logan who had made the trip down from Scotland. The shows are such a good chance to catch up with people - there are always gaps in the flying which gives you time for a natter, and natter we did! Lots of new people met too which is always nice - this year's Red Arrows "Circus 10" - Martin - a lovely lad who is clearly very much enjoying his backseating role this year, the new Tutor Display team Manager Andy (and a catch up with Tutor Display pilot Andy - this isn't going to be confusing at all is it! - who had to walk about 2 miles to come and find us after his promised transport from his aircraft couldn't get through the traffic!) and also as you can see above three of the Chinook Display Team lads - Brett, James and Davie who we bumped into on our way wandering through the showground as they were coming to find Kate and her promised biscuits! 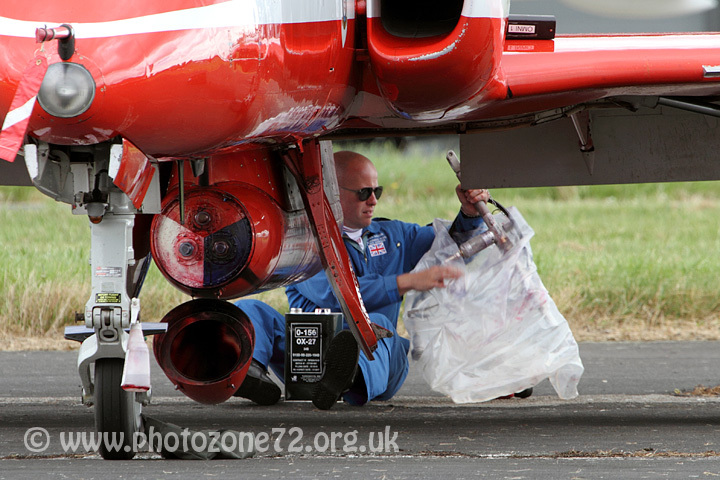 More biscuits were delivered to the Red Arrows PR team too - I can see that being a feature of this season! We got to do our own little bit for the Reds PR as the team arrived overhead for display - Photographer Fletch was looking to shoot another picture for their Armed Forces Day portfolio and wanted us in the middle of it! Great fun even if it did mean that we weren't allowed to actually watch the boys arrive overhead! 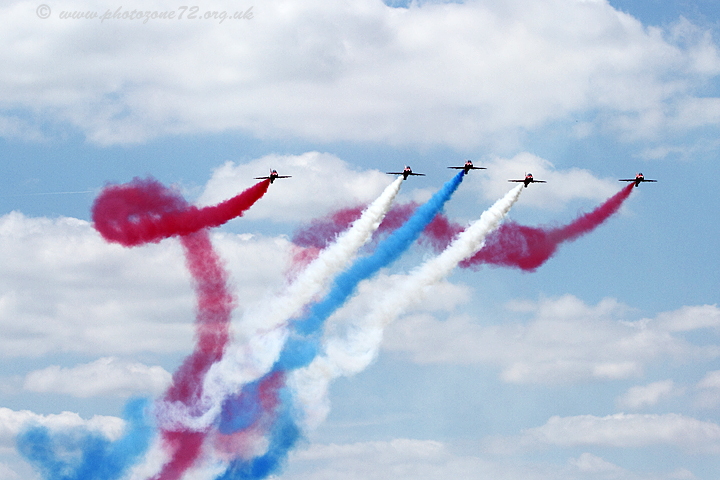 More on those photos and Armed Forces Day itself in a future post...watch this space! Thoroughly looking forward to the rest of the season now - it seems like we've really got some fun ahead of us again! ...Some of you will know that we have "Wind & The Wellies" Fay to thank for the title of this one. She coined it originally - that thing when all the thoughts in your head are whizzing around and around like a washing machine on a fast spin and it's impossible to interrupt the cycle in order to make any sense of anything. I mentioned a few weeks ago that I was trying to work through some personal stuff, and that still applies (and no it's still not serious - well not to anyone other than the people it affects, and yes I'm still fine, thank you) - it's been lingering around for a while now and has developed into a full blown case of Washing Machine Head as a result. When I've suffered with this in the past there have been a few things I've found that have helped. Having the ability to express exactly what is bothering me in writing helps me hugely - this blog has been useful for that to an extent, but even more so is using one of those websites where you can write completely anonymously and then choose whether to make it public or not. Most definitely not, in my case! Other options could be a completely private blog, a blog limited to just those friends you choose to invite to view it, or a "secret" Twitter account that only you know about, or even a combination of all of them - the key thing is finding what works for you and then making use of it when you need to. Writing a list of everything that is in your head in the order it spews out can also work, and one I've found massively useful - the good old "To Do" list. When your head is full of "stuff" then the fear of the important stuff getting lost amongst everything else can increase the stress levels horribly, the very last thing you need - so a simple To Do list can reduce them right back down again. For me the biggest help by far though has been friendship. The people who know the detail of what's going on in my head at the moment have been just amazing - from being willing to listen to me rambling on (yes, sorry about that! ), to knowing that if I just wander off for a bit mumbling only the sketchiest of explanations the right thing to do is leave me be for a few minutes to collect myself together and then to come and find me with a cuppa and a doughnut (Well, doughnuts fix everything, no? *grin*). The people who understand that, when I suddenly just go quiet, I need a few moments with them saying nothing, but just being there. They're the ones that know that being *too* sympathetic to me in person when I'm like that will result in an embarrassing (for me, at least) soggy-tissue situation. (Why, when we're feeling emotionally vulnerable, does people being lovely to us have the ability to reduce us to tears? I mean how the hell is THAT fair?!) Beyond that tiny group are another lot - who while they don't know *what* is up, know that something is, and so have been taking the time to message me to check I'm OK, or simply to distract me with laughs and cheeriness and the promise of more fun to come through the summer. When the black dog lands on your shoulder it can be tricky as hell to shake off, but without question one of the best ways I know of doing so is to find a way to clip on its lead and take it for a walk in the sunshine! This is very possibly one of the scariest blog posts I've ever written - and at the moment I have no idea if it will ever see the light of day. I certainly won't be tweeting about it if I do hit publish, so if you've found it it's probably because you're a regular reader - bless you for that. Although I sometimes have a moan or a rant on here I very rarely lay myself quite so bare as this post feels like it has and I'm wary of people trying to second guess stuff, or putting two and two together to make six...like I said this is categorically not anything terrible, or life changing, or anything like that, it's just some *stuff* that I'm needing to work through, ok? I'm not looking for advice, or "poor you" or anything like that (hence comments are disabled for this one), it was just suggested to me that sometimes answering "Everything OK?" with the standard "Yes, fine" is counterproductive. And it is - sometimes you need to stand up and say - even if only to yourself - no, you know what, everything is NOT OK. After all, if you can't be honest with yourself, who can you be honest with? 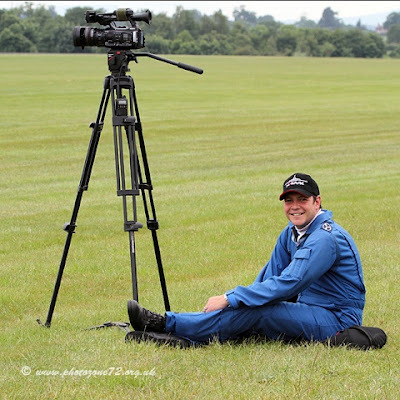 Tomorrow I'm off to my first airshow of the 2015 season - and I can hardly wait! Claire, Tom, Kate & I have a lot planned for this summer and as well as the shows and Reds displays themselves there is looking like being a lot of fun around the periphery of it all too from what we're being told! Claire & Tom have already been to one show - up at Llandudno in North Wales - but we were off on Lundy at the time so I missed that one. There will be several new shows for me this year as well as one in a Country I've not seen the Reds display in before - more on that once it's happened! ...the turn for tears this year will be for another bomber - Vulcan XH558 - as sadly due to the age and number of hours on the airframe she will be bowing out at the end of the season. 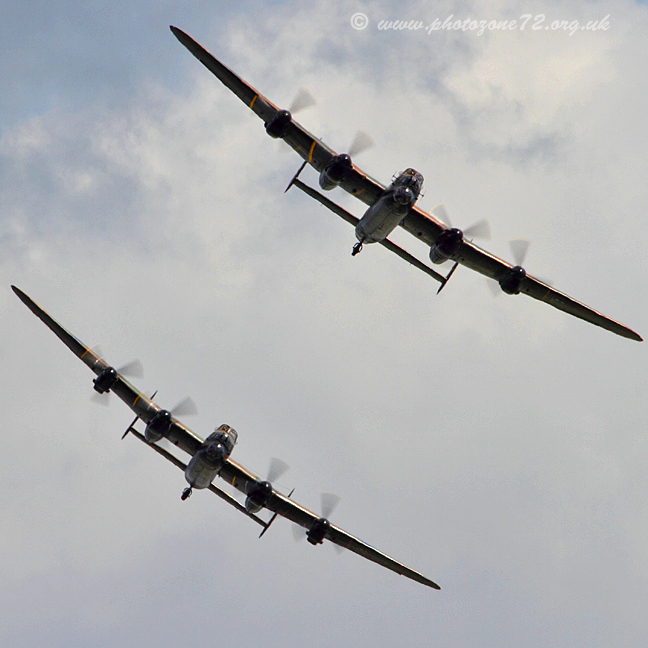 Considering we originally thought that her final flying season would be 2013 we've been really lucky to get an extra couple of seasons out of her I guess - it'll still be sad to see her at the end of the season for the final time though. 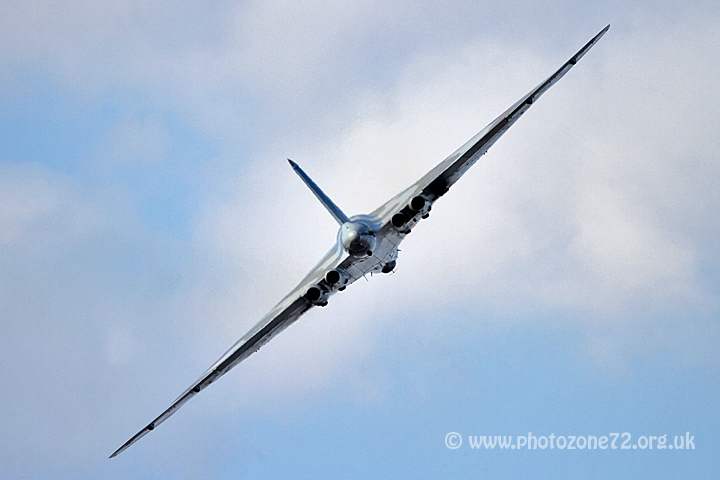 Her display schedule so far suggests that I will have 6 opportunities to see her display this season - plenty of time for a particularly elusive shot that I've been wanting to got for a few seasons now! I'm hoping to have a few opportunities to photograph the Reds on the ground again this season as I'm keen to run with my "Circus At Work" photo project again. Once again there are a few chaps I know on the frontline crews going round the shows - and after how well received last years shots were I'd love to have the chance to do something similar for this year's gang! 2014 Circus 9 - the lovely Kev Smith - is back in the same role again, one of last year's Dye Team members, irrepressible Geordie SAC James Robinson is backseating with Red 2, and last year's Circus 4 - Corporal Nicky Cunningham - will be on the road with the team also looking after the documentation - a role he combined with his circus duties a fair amount of the time last season! Nicky's also getting some more time in the backseat of the jets this year which he's understandably very pleased about! The Photographic team guys start the season unchanged too - my fellow beer-drinker SAC Adam Fletcher (Award-winning, dontcha know! ), Corporal Steve Buckley - owner of the fantastic HUGO, and SAC Craig Marshall - albeit sadly Craig will be moving to pastures new shortly. Aside from there there are plenty of new chaps to get to know! I don't expect there will be a lot of time to pause for thought from now through until September, so blogging might be sporadic again, but as you know I'd far rather be out "doing and enjoying" rather than on social media talking about it! Most people are agreed, social media is a pretty good thing. Let's face it, without it we wouldn't be chatting here now, would we?! It enables us to keep in touch with those we might otherwise lose contact with - those people who can't form a part of our everyday lives either due to distance or circumstances, but who we wouldn't want to lose contact with entirely, either. In some cases it also lets us rekindle old friendships that have drifted away for whatever reason - last year my best friend from Primary school and I found one another again due to the wonders of the internet - I knew she had become a quite successful actress (which was precisely what she always wanted to do, so yay for her!) but had been unable to track down any form of contact for her until she popped up on Twitter. SO lovely to be back in touch with the person who features in so many of my childhood photos! iMessage lets me stay in touch with a very good pal who spends too much of her life back in the USA, and better than that, it lets a whole group of us who are a close unit hang out and chat together. Sometimes social media even lets us make new friends - My aviation-photographing Partner-In-Crime Claire and I met after I saw her stuff on Twitter, then spotted her standing at the fence at Scampton. Within a few minutes we'd sussed we were kindred spirits with an identical mad streak and that was that! Similarly my pal Ross first made contact by messaging me on there after seeing some of my photos - that then lead to my Very Exciting Project last year too which would never have taken off (pun intended) without Twitter either! One of my very very bestest chums in the whole world (yes, we're secretly five year olds!) & I met through an internet forum in the first place - not having her in my life now is unthinkable, but without the WWW we'd probably never had crossed paths. Sometimes though, Social Media is very much NOT a good thing. It can be abused by those who have "ulterior motives" - take as an example the very public trolling suffered by celebrities including Tom Daley and more recently Sue Perkins - how on earth can ANYONE consider it reasonable to suggest that they would like to see someone burn to death? Forums have for years provided outlets for those spineless bullies who would not in real life have the courage to say boo to a goose to pick on those they perceive as weaker than them and this now seems to be moving on to other forms of social media too. Sometimes this can take the form of outright unpleasantness, at others it's more of a quiet picking away at a person, designed to make them feel progressively worn down. Sometimes it is, I think, as simple as the bully needing to feel better about their own life by denigrating the lives and choices of others. A very close friend of mine has been completely put off one social media outlet where she used to post regularly due to just this latter sort of behaviour - the problem is that the perpetrator is so sly and clever about it there is little that those of us who have seen it can do without them being able to come back and just say "Oh but I only meant..... I'm upset that you've taken it that way" thus deploying the attention and sympathy back to themselves. Don't get me wrong, a number of us know she's doing it, but actually pinning down anything black and white enough to say "that's out of order" about is tricky. The world of the "Keyboard Commando" is a strange one - and in a lot of cases the phrase "you need to get out more" can seemingly be applied very literally to them - so often these seem to be people who have very little "real life" interaction, and some form of balance is required, I think. Other "questionable" uses for Social Media to me include those who seem to "friend collect" on FB. OK, so you've got 567 "friends" on there - really? I mean, honestly? Firstly I bet only a fraction of those would know you if they passed you in the street, and secondly, no, that doesn't make you better than anyone else. (I overheard someone recently asking someone else "Oh, so a real friend, or a facebook friend? and I kind of knew what they meant - there seems to be two definitions now). Then there are those who are mostly on FB for self-promotion - and no, I'm not talking about promoting a business or similar, but those who's every second post is essentially telling you how wonderful they are and how fabulous their lives are. Well sorry, I have news for you - if you WERE that wonderful you'd crack on and DO all this stuff without feeling the need to be constantly searching for pats on the back! I have a friend (real, not just FB!) who does an INCREDIBLE amount for her charity of choice - and yet she just quietly gets on with it - she has separate feeds on Social Media for her charity stuff and occasionally posts stuff from there into her personal feeds yes, but you never see a "look at me" post from her. Another friend volunteers on a regular basis for a charity that helps those affected by alcohol abuse in others - and again, she just gets on and does it. Special mention in this category goes to those who use Social Media for Social Climbing...crawling all over people while they are "useful" to them and dropping them like hot-cakes as and when someone more "useful" comes along. Just stop it - go and get a life of your own and stop trying to steal everyone elses. The other potential problem with the "instant gratification" provided by social media is the anxiety it can cause. WHY has so-and-so not "liked" that Instagram Photo or Facebook Post? What does that person mean by that comment about how badly they've been treated - are they talking about me? I know X read that iMessage I sent them so does the fact that they've not replied mean I've upset them? Does the fact that I've not replied mean they think they've upset ME? Don't even get me started on those wretched ticks on WhatsApp! Another anxiety causer can simply be that tendency to be connected to EVERYONE in our lives ALL the time, meaning that on the entirely inevitable occasion that friend Y* has upset you you have nowhere to vent that frustration where friend Y won't see it - thus risking starting the whole "is that about me" cycle all over again! In extreme cases you can see this being played out in a game of social media Tennis - FaceBook is especially good for this - as one person posts something, then another posts something that is quite clearly in reply, and so on. (A few folk *might* have been acquaintanced on my FB as a result of this.) That's one reason why I do occasionally do a rant like this on the blog - it's just the most marvellous place to say "Waahhhhhh!" without all and sundry immediately replying with "You ok?" - it's lovely that people care, don't get me wrong, but sometimes it is as simple as yes, I was pissed off, but I've now had a nice cathartic rant and felt better...well, until I felt under pressure to explain myself as a result of 47 people all asking if I'm OK, that is! Come on then - what are your pro's and con's of Social media? Have you shared any of these experiences? And please, I know this goes without saying but please DON'T identify anyone on here! I was having a browse around blogland the other day and found an interesting post by Fiction Burns (It resonated with me following on from the post I wrote earlier in the week about my planning and organisation for the new Airshow season, that I wouldn't go into debt to pay for the fun stuff.) It touches on choices, and saving for stuff, and living within your means, and I just read through it thinking "Yes....Yes...YES!" (and not in a "When Harry met Sally" kind of way, either!) So much of what she says matches up with my life too - although we live in a very different environment as you'll see if you read her blog! Whether you call it frugality, thriftiness, simple living, or, dare I say it, "austerity", the whole "live more simply and save cash" movement has really grown over the last few years - in some cases because it's just had to - when the recession bit back in 2008 people did lose jobs, and more importantly for many, credit became far, far harder to come by. Thankfully by the time things started getting tough we'd already got rid of any debt we had beyond our mortgage, but for those for whom living from loan to loan and credit card to credit card was "situation normal" life changed dramatically. Our own dramatic change happened when my employment situation got messy back in 2010 - overnight my income dropped by 2/3rds and realistically speaking it is still only 50% of where it would have been by now had I stayed in the same job. Thanks to the fact that we'd already simplified our lives and our finances, and had some emergency cash in the bank, we were OK in spite of this drop - and no, before anyone says it, MrEH doesn't earn megabucks - prior to the drop I was the higher earner. In spite of the recession I managed to find work so I started earning again more or less immediately - a huge change from what I'd been doing previously but as I no longer wished to be in my old industry that suited me well. It helped that I was willing to do whatever I had to to bring in a wage too - something that a lot of young school-leavers and university graduates would do well to take heed of I suspect! We never skipped a mortgage overpayment and didn't dip into our savings at all. Look after what you have! If you run a car, get it serviced regularly. Check the oil level, and the tyres regularly - tyres at the correct inflation last longer and cost you less to drive on. Wash it by hand occasionally - that way you will spot any oddments of damage before they turn into a rusty problem. In fact wash it - full stop. A clean car is again more fuel efficient (yes, really!) and if you've paid good money for it then you should want it to look nice anyway! Buy good quality shoes and boots if you're going to do any amount of walking in them, and then treat them well with polish or dubbin, and get them re-heeled and soled when they require it. A decent winter coat will last you several years, the same applies to a waterproof jacket - better to spend twice as much for something that will last you four times as long. Remember to have clothes that need dry cleaning done regularly, and as for those waterproofs, wash them in a specialist cleaner not your standard washing powder, and re-proof regularly. When buying appliances research properly and buy the best you can within your budget. We've learned to our cost that buying cheaper brands of Washer/Dryer for example, backfires as they don't last the pace. Sure we could never go out, never have a takeaway, never switch our heating on, never go on holiday, never buy anything above the bare essentials. By never spending on anything not vital to live, we could obviously have paid a lot more off the mortgage by now. We could, but then again we could get run over by a bus tomorrow, and nobody ever, in their dying breath, said "Damn! I wish I'd skipped that portion of chips eaten at the seaside in order to pay a bit more off the mortgage!" did they now? ;-) We each have our own personal money every month which pays for our personal day to day expenses and individual fun. We have takeaways occasionally. We see something that looks yummy in the supermarket and think "Sod it!" and put it into the basket. We buy free range eggs, and "happy" meat, and shop at farmers markets when we can. we have weekends away (often using the tent to save money on hotels) and days out. We have a specific budget each month to set aside for "fun stuff". As a result in all the time we've been OP'ing the mortgage we've never really reached the point where we've started feeling hard done by, or like we want to pack it all in. Don't just throw things away! That item you're fed up with, or have no further use for, might be a lifesaver to someone else if they find it in the charity shop. Clothes too - pop through a wash with other items and dispatch them off to the charity shop if you no longer want, need or fit them. Try to avoid food waste too - think about portion control or come up with a plan for using leftovers. Too much pasta or rice can be combined with veggies and a light dressing to make a salad to go with the next nights meal, or to pack up for a packed lunch, and leftover bread can always be transformed into croutons, or breadcrumbs, both of which freeze brilliantly. If as you're serving out a pasta sauce, for example, it looks like you'll have more than you need, try separating out a portion which will can be frozen, rather than just ladling it all onto the plates. Buying fresh food that has been prepared for you is an expensive use of your food budget - think in particular things like onions and lettuce! Keep an eye on the fridge, larder and cupboards to make sure that things get used while they're still fresh, and have a list on the fridge that you can add items to when you know you're running low before transferring them to your shopping list - this helps stop you buying double! If you use a lot of bread then get yourself a breadmaker - our £45-ish model paid for itself inside a year - but don't take your eye off the ball as to when it's cheaper to buy rather than make - I'm talking yellow stickers! Think before you spend - and remember the cashback sites! Never shop when you're hungry or browse eBay or Amazon when you're bored! How about you - what helps you organise your life and your finances? ...OK, I know those that know the real life me (especially those who know me really well!) are shaking their heads in grinning disbelief about now, and yes, I can understand that entirely! You'll remember that last summer was - well let's say "a bit hectic" - in a good way, but hectic nonetheless. And in spite of it being in a good way (very good, actually!) by about August I was starting to feel a bit overwhelmed, people were asking me what I was doing on a given date a few weeks ahead and it felt completely impossible to keep track, and, my usual state of mild disorganisation notwithstanding, that felt very uncomfortable. I went through the entire summer with a constant nagging feeling that I was forgetting somewhere I was meant to be, or something I should have done. To add to that because I was constantly on the go, rushing from one thing to another, and when I wasn't, I was glued to the computer sorting out photos, the household stuff - both budgets and meal-planning/food - got all muddled too, and that left me feeling even MORE unsettled, and by the time the season ended in September I was feeling thoroughly befuddled and out of sorts. Not good. 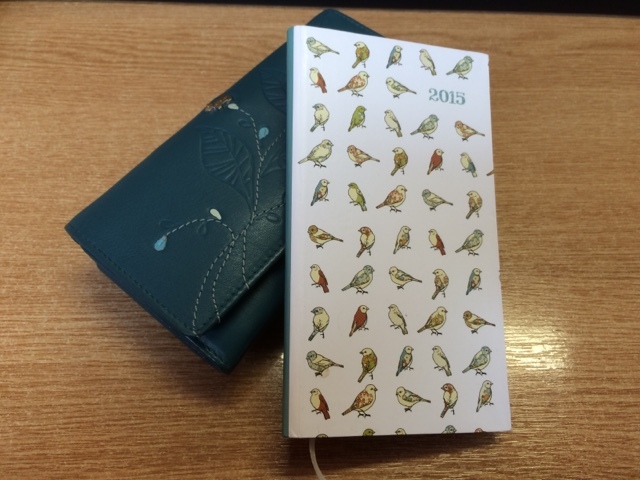 ...and see, it even matches my rather beautiful purse that MrEH bought me for Christmas. AND it only cost £1.50 which is the sort of money I can handle paying for a diary which I know full well will almost certainly get lost at some stage in all the fun and excitement anyway. Yes I KNOW I've got a perfectly good iPhone, and that does do duty for day to day reminders of stuff, but for actual "Places I've got to be, weeks in advance" stuff, I like paper & a pen, thank you. As and when the dates were released for airshows I planned to go to were released, they got written in, along with holiday dates, the beer festival, and similar things. As time goes on I'm adding notes of travel that's booked, accommodation for various events, and where I'm staying with pals. It's quite deliberately a nice small one too - it needs to be able to fit into my handbag or my camera bag so I've always got it with me. ...and I know of a good number of readers of this who are thinking "ooh!" along with me now too! 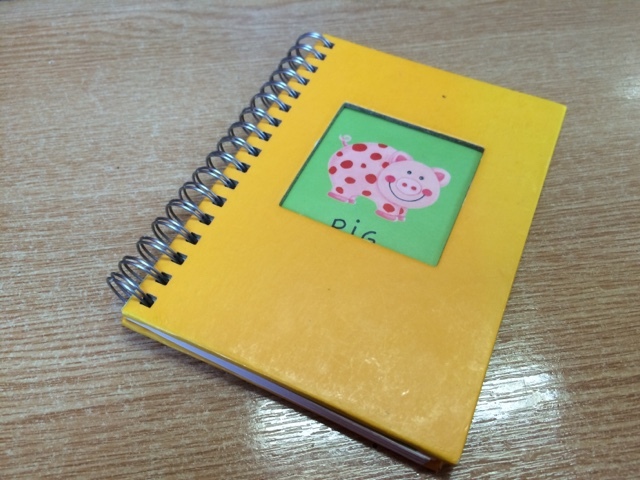 I do love a notebook, especially when it's a cheery bright yellow one with a rather cute pig on the front! (Even better I've had that one for YEARS and never quite managed to find a long term use for it - so it didn't even cost me anything!) - that's being used for noting down all the stuff that's too "wordy" for the diary - detailed notes on train travel, the collection codes for train tickets that need picking up, where I've booked accommodation for various event the details of the sites I've booked through, and whether anything has been booked as a "just in case" and might need cancelling nearer the time. I've also got a complete list of all the shows in there - some may drop out and others may get added, but at least I've started with a list so when someone says to me "Are you doing X show?" I can (hopefully!) check and say yes or no! On the household front a meal-plan is back in place, along with a new magnetic pad on the fridge for noting stuff that needs adding to the shopping list. We've found a more local - although smaller - farmers market which it will be viable for Ben to go to on his own on weekends I'm not about so we can return to buying our meat direct from the producer which we far prefer. A bulk meat order is also being planned. The meal plan will be being expanded to turn into a rough rolling 4 or 5 week plan which we can pick and choose meals from depending what suits, and I'm also going to be coming up with some ideas for foods that can be conveniently carried with me for the single day airshows to avoid the thing of "just grabbing a burger" which adversely affected both my bank balance AND my health last year. On the subject of finances I have a plan there too! *grin* Since the end of last season I've been adding any spare cash to a savings account - entirely separate from from regular "fun stuff" account so I know I have a cushion of cash there to start me off with. So far it's paid for all the advance ticket bookings, several bits of travel, and a couple of hotels too. My £2 coins from last year went there, and anything that's been left in my current account at the end of each month has also headed that way. Money left in my purse at the end of a month has been going - as usual - to my "treats tin" and the contents of that have been being paid in whenever there's been enough to make it worth it and I've been going near the bank. Once the season kicks in fully for me (not long now!) my plan is to use the regular spending money for the day to day stuff and try to leave the airshow account untouched until accommodation needs paying and stuff like that. That in itself has relieved some stress over money - I love doing all this stuff but I absolutely cannot justify getting into any sort of debt for it under any circumstances - we've fought so hard to ensure that our only debt now is the mortgage and I won't compromise that - so knowing that I've saved in advance to cover some of the bigger costs is great. All in all my little bits of organisation feel like I'm starting the season off as well as I possibly can - there really is little more that I can do to make things go any more smoothly, which means all that remains is to look forward to a fabulous 4 months to come packed full of fun and excitement with some fantastic people. Bring it on!